A new online Compliance Checker, developed as part of Schiphol’s Smart Cargo Mainport Program, speeds up cargo flows by detecting data errors in air waybills. Developed as part of the European Green Fast Lanes Project, the system automatically inspects the content and format of a shipment’s data. Current trials on the truck lane from Frankfurt (Germany) to Amsterdam and beyond, on air cargo shipments from Schiphol, have been successful. The system, developed by Cargonaut and tested by KLM Cargo, uses smart technology; it checks air waybill data and sends automatic alerts when information is not correct. This prevents delays caused by sending non-compliant cargo to Customs. The Compliance Checker decreases delays, as well as the need to repeat work, and increases data quality, efficiency, and predictability in the supply chain. “The Compliance Checker reduces delays in the supply chain and makes it more predictable and efficient for everyone,” said Jonas van Stekelenburg, Head of Cargo, Amsterdam Airport Schiphol. The Compliance Checker looks at data on both shipment and trucking levels, based on air waybill information. The tool is compliant with inbound European Union Customs rules as well as outbound (US and other countries) rules, and is intelligent as it is able to check the logic of information. The system allows for easy modification and new rule sets, making it compatible and generic so that any part of the air cargo supply chain can use it. “Data is key to helping us get a grip of what is about to happen – it ensures we maintain control of the circumstances, and are able to anticipate, hence becoming pro-active instead of reactive,” said Marcel de Nooijer, EVP, Air France KLM Cargo. “The newly developed Compliance Checker at Schiphol, which verifies all House and Master air waybills to compliance regulations throughout the complete shipment journey, from the moment the data enters our systems, is a perfect example of this. Shipments are not transported until all information has been correctly put into the system, and errors, such as inaccurate commodity descriptions or incorrect weight reporting, are rectified. “The system recognises different descriptions of a similar product and flags this,” said Nanne Onland, Executive Director, Cargonaut. First results are promising; the tool has shown that 80 per cent of errors occur in only 20 per cent of shipments. 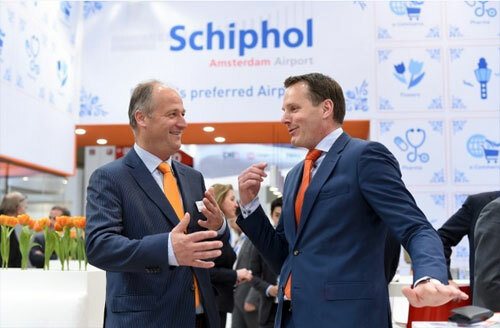 “With this insight, together with our partners, we can better target improvement initiatives, allowing us to quickly improve quality of data, and hence the predictability and speed of the chain from, to, and via Schiphol,” said Onland. The European Green Fast Lanes Project, launched last year, aims to improve KLM Cargo’s truck supply lanes and is part of the Smart Cargo Mainport Program, which aims to find innovative schemes to improve cargo flow through Amsterdam, underpinned by transparent data exchange. The Schiphol team announced the results of the trial at this week’s Transport Logistic Event in Munich, Germany.